Every girl’s dilemma before going out of the house is this: “I don’t have anything to wear.” Would you agree? Well at least that was the case for me. I’d say this everytime I’d open my closet to which my husband would reply with a snort. I’d roll my eyes at him and he’d point out his smaller clost compared to mine. 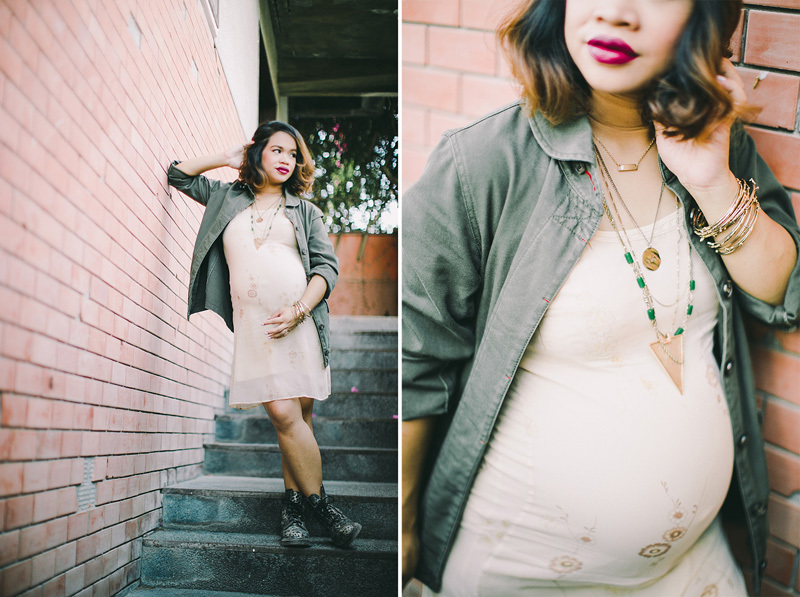 I’ve always leaned towards loose clothes and layer them for a hippie chic look. Whenever I wore form fitting clothes though, I’d always pair it with something flowy or loose. 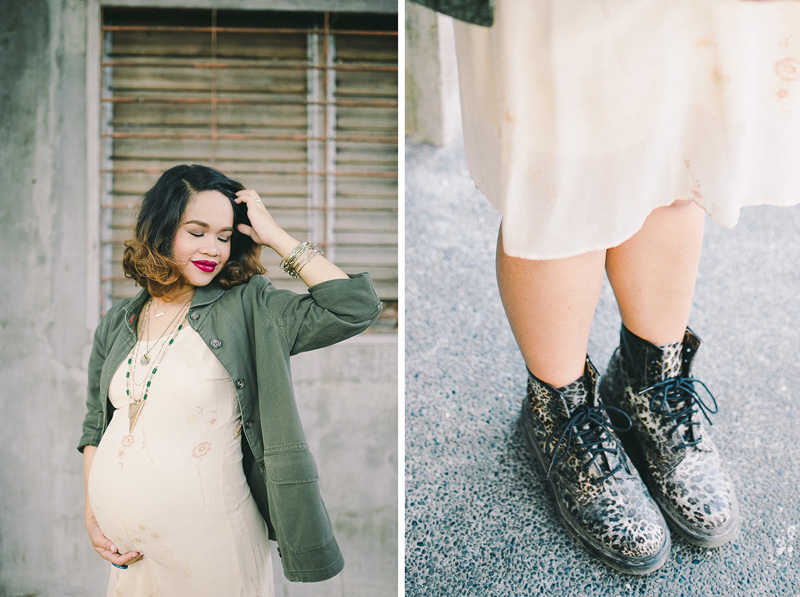 When I got pregnant and my tummy got bigger, most of my style philosophies went out the window. And that what to wear dilemma happened daily. For me this was the most challenging of all. My body has just started changing and the little bump developing looked like extra tummy fat (hihi). My hips have become wider which I really wasn’t used to because I had really narrow hips. My shorts didn’t fit me anymore and I couldn’t really wear form-fitting tops. I hoarded pajama pants which turned out to not just be flattering but were also very comfortable with its cotton material. I wore looser knit tops over my pajama pants or cotton leggings. 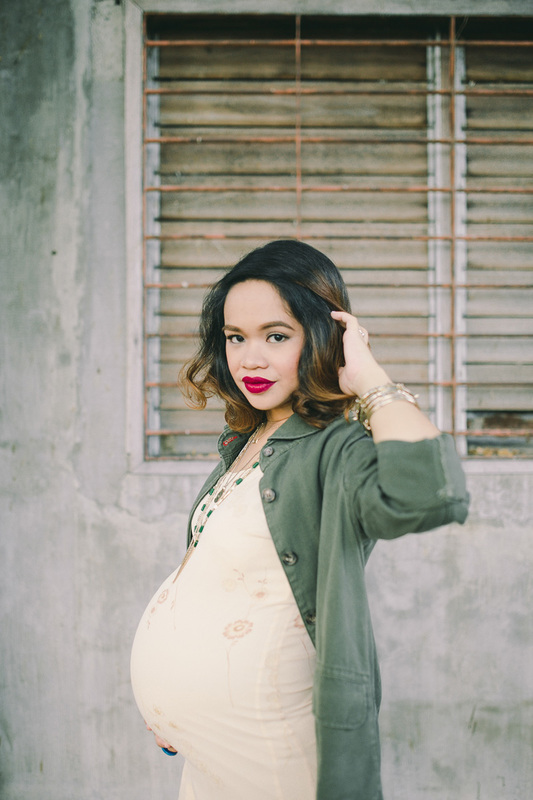 Of course, my maxi dresses which I consider wardrobe staples stayed loyal to me all throughout my pregnancy. Around the 5th month, my tummy was more pronounced. My pajama pants wouldn’t fit anymore as my legs have grown bigger too. 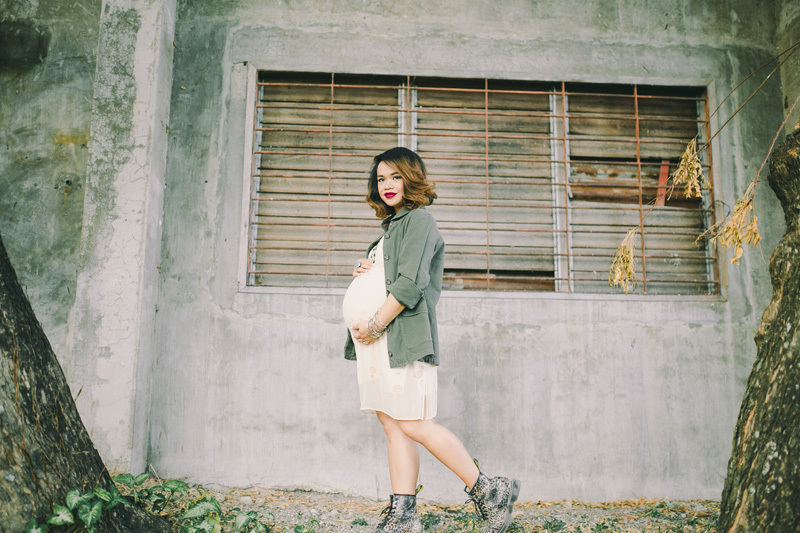 I didn’t want to buy maternity clothes because frankly the ones in malls are not so fashionable and I didn’t want to spend money for clothes I won’t use all throughout the year. All my skirts were meant to be worn on the waist. So what to do? I wore my maxi and midi skirts over my tummy. And to create shape and not look like a big cloud of clothes, I tied my shirts over the skirt waist. I wore my husband’s work shirts (haha!) over simple black cotton leggings. This automatically became my errand outfit. I banked on my maxi dresses and wore them to death — as in I’d wear them right after they’d come from laundry. Shift dresses that used to be below the knee are now above the knee because of my tummy. 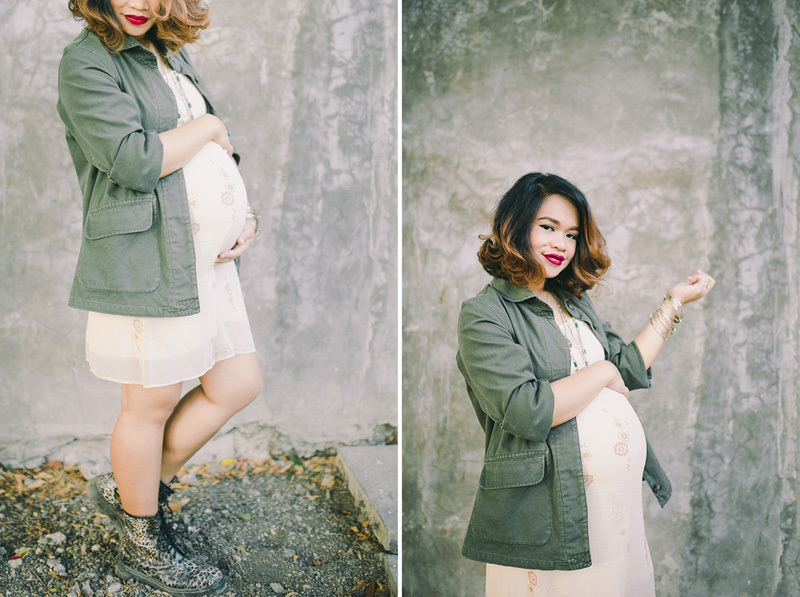 Note: More photos of maternity outfits below the series.